One of the unexpected challenges in raising money to grow your business is keeping mum about the deal until it's time. Time is likely among the many terms you'll find defined in your contract, and between the day you sign the papers and the day that time actually arrives, you're glowing inside because your investors believe in the potential of your business and want to see you do more. Investors don't magically make a business plan succeed, nor do they single out the sole source of success behind a business or an idea. This is certainly the case with Commerce Guys' raise announced last week. We know for a fact that our investors get open source as much as they do eCommerce. 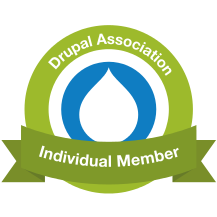 Even as they evaluated us on our ability to execute our business plan, they evaluated us on how well we work within and alongside the larger Drupal community. When they took a close look, they saw the strengths of the community and the caliber of developers collaborating with us to build Drupal Commerce. That's what makes it so exciting to share the news - investors and developers who have grown their own businesses and, in the case of the team at Open Ocean with MySQL, their own open source projects have looked closely into both Commerce Guys and Drupal Commerce and felt confident enough to front some serious cash for us to kick our efforts up a notch. Many of these guys have built their own eCommerce systems and understand the challenges we're in a unique position to solve through Drupal 7, Views, Rules, and Commerce, and they're guys who understand the importance of the community in the success of any open source project. So, we're not crazy after all, and what we've been trying to build with our friends at Commerce Guys and in the Drupal community isn't crazy. Ambitious, sure, but achievable. Our vision for Drupal Commerce remains the same - to see Drupal Commerce become the world's leading open source eCommerce framework. For the last two and a half years, my time has been set aside by Commerce Guys to develop the code (with plenty of help from other brilliant Commerce Guys and community contributors) and grow the community needed to make it happen. Now we've sold the vision to some very smart people with deep pockets outside our normal circles and are eager to see what happens next. Their affirmation is much appreciated, but so is the money that will let us hire and set aside even more developers to "scale me" out a bit. We need to address immediate concerns pertaining to documentation and community support on DrupalCommerce.org. We'll need to make sure we follow-through on our longstanding 2.x strategy to bring some sanity to the user experience for administrators even as 1.x has privileged developers. All the while, there will be more than enough module maintenance and distribution work to go around! Addressing these needs for Drupal Commerce should only require a fraction of the money we've raised, but it's a good start that will have an immediate positive impact on the thousands of people already using Drupal Commerce to power their online businesses. If you think you can stomach working with me on a daily basis and have the chops to help us succeed, be sure to get in touch. One of the things I'll miss about Louisville, KY when I move my family to Greenville, SC next month is the buying club we're a part of that sources raw / organic foods and other products from local farms and other good companies. It was put together by a genius I knew through college and church (John Moody, who writes and speaks about food clubs and co-ops), and last year another college buddy (Kane Holbrook) started working with him to help manage the club and oversee deliveries and pick-ups. Among the many yummy things we get through the club are a variety of raw milk cheeses from Welsh Mountain Farms, an Amish farm in Lancaster County, Pennsylvania. It just so happens that this farmer, yea, though he has no internet access himself, understands the advantages of selling online and asked Kane last year about starting a website to sell his cheese. Kane floated the idea by me, and it quickly became a business plan and partnership to start selling his cheese using Drupal Commerce. Not only did it help the farmer and open a door for Kane and I to do some business together, but it also finally gave me a chance to experience using Drupal Commerce as a site owner and administrator. After two years of planning and development, I finally started eating my own dog food when we launched RealMilkCheese.com in November. I'll have more to write about the site in the future, as I learned a lot through it and contributed a lot of code from the project to drupal.org. It became the driving factor behind my development of the flat rate shipping module and UI improvements for on-site order management in Drupal Commerce 1.2. It's also the primary example I use to demonstrate multiple flat rate shipping options with conditional availability (think free shipping on orders over a certain amount) and custom discounts to products through an integration with quicksketch's Facebook OAuth module. It was my second foray into theming with Omega and turned up a few tips that I need to pass on to other theme developers with respect to Drupal Commerce components. Finally, it gave me my first experience launching a site on Acquia Dev Cloud using one of those handy coupons they give out at Drupal events. We encountered a scenario where a customer added a product to his shopping cart the first week of December but didn't actually purchase the cheese until we sent out a special offer over the holidays for a free 8 oz. cheddar for orders placed in a certain timeframe. It was great to see the immediate effectiveness of the offer (recovered cart sales are a big deal), but because the Orders View on the back-end sorted orders in reverse order by creation timestamp, his order appeared down the page below orders that had already been shipped and marked as Completed. It's not a huge problem, because a filter on the View to only show Pending orders by default would highlight orders needing attention, but it still isn't an ideal user experience. The thought occurred to me that for our scenario, it would be fine for the creation timestamp of an order to be reset to the current timestamp on checkout completion. As far as we're concerned, that's when an order has been "created" that we actually need to respond to. It actually existed before then, and we'll retain that data in the order's revision log, but we really want to know when the order was finally submitted through a complete checkout process. I started imagining where I would put code to do this when I realized I wouldn't do that at all... a simple Rule would do the trick! Now, I should be used to the level of flexibility we achieved in Drupal Commerce by now, but it still tickles me to no end that it really is that simple to change even obscure aspects of your e-commerce system through the user interface. When I communicate the strengths of the project as an eCommerce framework, concrete examples like this make the approach come to life for merchants and store administrators. It's a clear case of the software conforming to your business needs instead of forcing you to work within its constraints, and I look forward to seeing how else we can trick it out to grow our little cheese business.